We have all made mistakes we would like to forget about. Unfortunately, if your mistake led to you being charged and convicted with a crime, it is a matter of public record. Your past criminal record can have a major impact on your life, keeping you from getting a job, a house, and more. The good news is that Indiana’s expungement laws can often let you move forward with a clean slate. You may have the right to impose limitations on who can access your criminal history, and may not be required to disclose charges or convictions that have been expunged. If you live in the Evansville area and want to clear your criminal record, Foster, O’Daniel, Hambidge & Lynch can help. There are several criteria that must be met in order to be eligible for the expungement of a misdemeanor in Indiana. It has been 5 years since the date of conviction. There are no current criminal charges pending. Your sentence was completed, and all fees and fines resulting from the conviction have been paid. You must not have been convicted of another crime in the 5 year period since the date of the conviction you wish to have expunged. The criteria that must be met in order to be eligible for expungement of a felony charge are more complex. 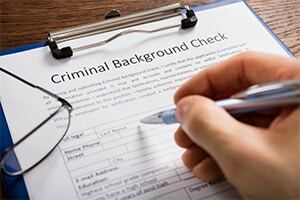 Eligibility depends on the type of the crime, and some serious charges cannot be expunged. However, in general, there are a few basic requirements for a felony to be eligible for expungement. A certain amount of time must have passed since conviction (depends on the type of crime). You must not have been convicted of another crime in a certain time period since your conviction. Has your Indiana driver’s license been suspended? You may be eligible to request a Specialized Driver’s Permit (SDP). If a court suspended your Indiana driver’s license, we must petition the Court that suspended your driver’s license for the SDP. If the Indiana Bureau of Motor Vehicles (BMV) administratively suspended your Indiana driver’s license, we must file a petition for the SDP in the County of your residence. If you are no longer an Indiana resident, we must file the petition for the SDP in the County where you last received a traffic ticket. The Court may impose conditions on the SDP such as requiring a Certified Ignition Interlock Devise, limiting driving to and from work or allowing driving during certain hours of the day. In order to know if you are eligible to have your charge expunged, we must look at every case individually. The lawyers at Foster, O’Daniel, Hambidge & Lynch have extensive experience with misdemeanor and felony expungement. We want to help you get your life back to normal after a criminal conviction. Call us today at our office in Evansville, IN, for a free consultation.